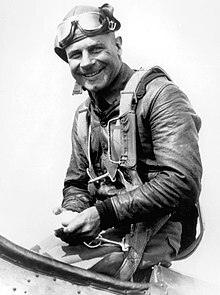 On this day in 1942, Lt. Col. James “Jimmy” Doolittle led 16 B-25 Mitchell bombers and 80 airmen on a daring air raid over Tokyo. Taking place shortly after Japan attacked Pearl Harbor, the mission was designed to boost the morale of the American people and to show Japan that it was vulnerable to American reprisal. Army Air Force Gen. Henry “Hap” Arnold, who planned the mission, chose Doolittle to lead the raid because of his extensive and distinguished career that stretched all the way back to 1918. Arnold couldn’t have picked a better man, as Doolittle would personally lead the mission from one of the B-25’s. Despite being called an operation of “no serious strategic reason” by a Naval War College study, the Doolittle raid was one of the most bold and courageous actions taken by American forces in WWII, and was a major contribution to American victory in the war. Doolittle and his raiders trained in Pensecola, Florida, practicing extremely short takeoffs so that they could launch their bombers off of the deck of a carrier. The pilots and crewmen were not told of their mission until they were already out at sea. The Mitchell bombers had to be fitted with special bombsights because they had to fly in at an extremely low altitude to avoid detection, and they also had to be loaded up with extra fuel for a mission that would test the range of the B-25’s. The specially fitted Mitchell bombers were loaded on to the carrier, U.S.S. Hornet, by a giant crane at the Alameda Air Station in California. They remained on the flight deck throughout the voyage. The mission was so secret that even the commanding officer of the Hornet, Cpt. Marc A. Mitscher, was unaware of the operation until just before he set sail. Without the element of surprise, the mission was unlikely to produce anything but the deaths of Doolittle and the 80 men who served under him. Doolittle’s raid was as close to a suicide mission as any American serviceman could be reasonably expected to perform. Japanese Admiral Yamamoto anticipated an air attack on Japan, and made a picket line of ships around the Japanese homeland that stretched for over a thousand miles. The Hornet was spotted before it could reach a reasonable distance from Tokyo and had to launch the planes early. Doolittle would have to fly his mission in broad daylight instead of at night, without the element of surprise and while knowing that the fuel capacity of his planes would make it unlikely that he or his fellow flyers could reach friendly territory without crashing. Doolittle and his airmen carried on anyway. The Mitchell bombers reached Tokyo, coming under severe, but inaccurate anti-aircraft fire, and delivered their payload. Many of the pilots and crewmen bailed out of their planes over China and remained with the allied Chinese for the rest of the war, but some were taken prisoner by the Japanese and most were subsequently executed. This bold and shocking raid caused massive chaos in the city, terrified Japanese citizens, and horrified Yamamoto and the Japanese Naval General Staff , prompting them to expedite their plans to attack Midway Island, which had a valuable U.S. base and airfield. The battle for Midway turned out to be a resounding victory for the U.S. Navy and changed the course of the war heavily in favor of the United States. Doolittle won the Congressional Medal of Honor for his involvement in the mission, and was a true American hero. He died in 1993, and was buried in Arlington National Cemetery.